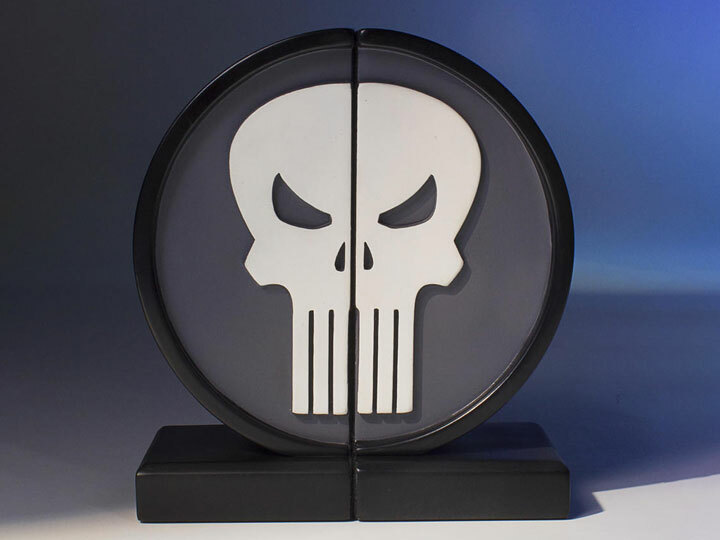 Since his first appearance in 1974 Frank Castle aka The Punisher has seen the worst this world has to offer and he has made it his mission to end it. 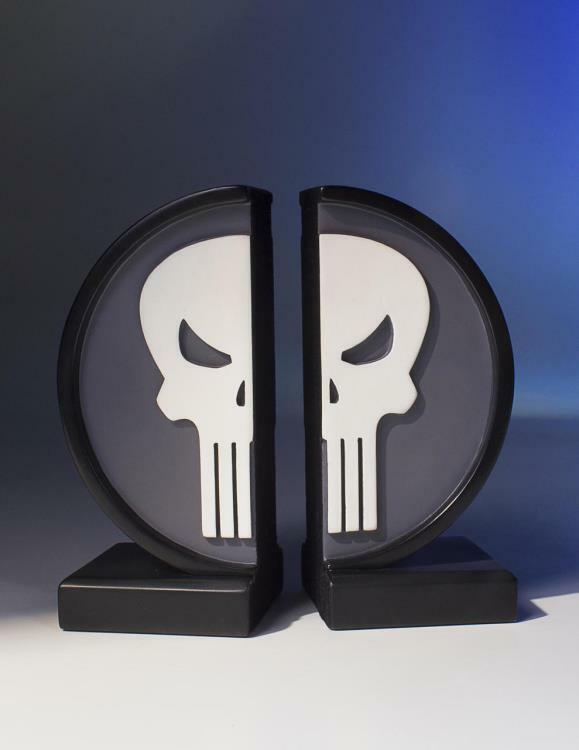 Just as The Punisher wages a one-man war on crime, you can wage a one-man war on illiteracy with these new Punisher Logo bookends! 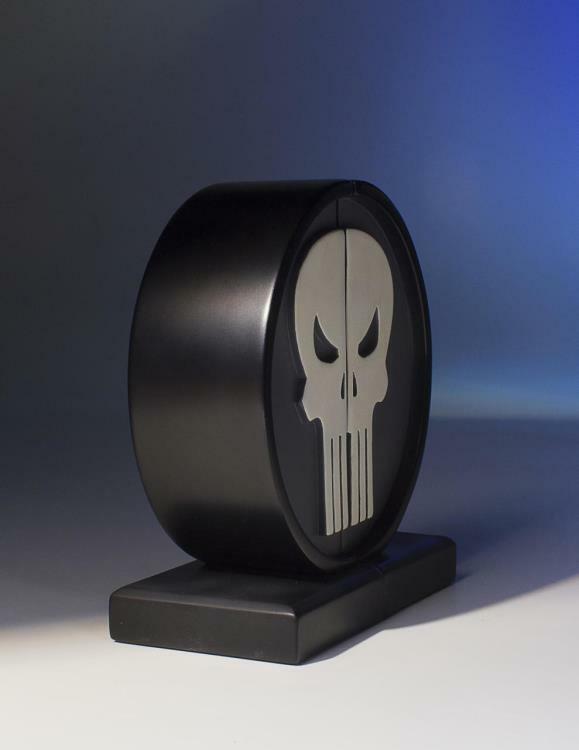 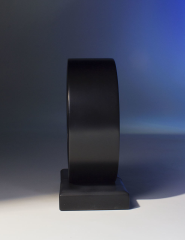 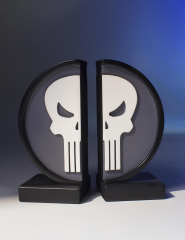 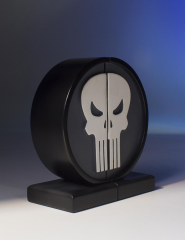 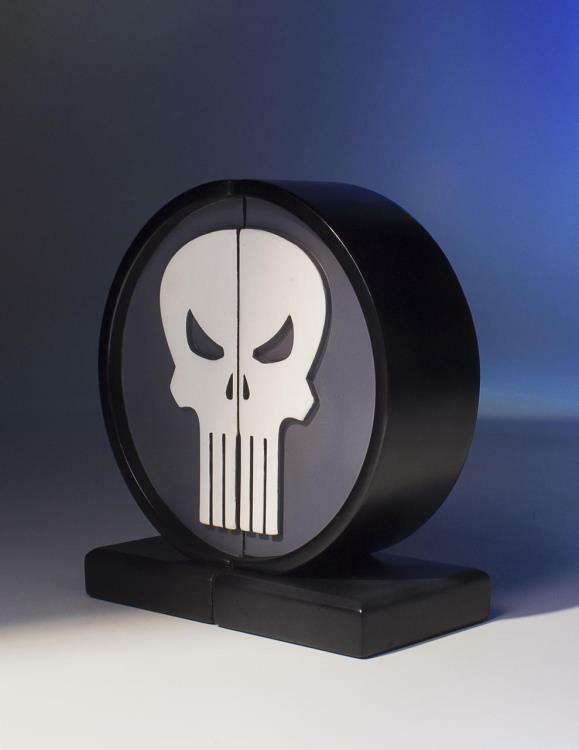 Having these Punisher bookends on your shelf really makes a statement: You can borrow a book… but you had better return it! 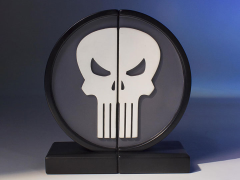 Your bookshelf needs an anti-hero and the Punisher is here to fill that void.